So enough already about the men’s tournament. Let’s talk about the NCAA women’s Sweet Sixteen. Why? Because one of the four regional sites is Spokane, U.S.A. Hoops fans from across the country will ask themselves a question. So today The Slice provides a quick guide for anyone here who finds himself or herself answering queries about our fair city. Let’s get right to it. Does Spokane have an airport? Yes, and it’s better than that teeming cesspool you fly out of back where you are. Though admittedly, it might take you a couple of flights to get here. Is there anything to do there? Yes, we have a variety of dining and shopping opportunities as well an impressive array of sight-seeing and sensual delights*. Is marijuana legal in Spokane? Are people in Spokane friendly? I’ve heard you have waterfalls right downtown. Is that true? It is, and they might just blow your mind. How far away is Seattle? Never heard of it. Is that in Idaho? I hear it rains all the time. Is that true? No. Odds are, we get considerably less rain than your miserable hometown back in Flatsville. Do people in Spokane know anything about basketball? Did Bing Crosby know how to carry a tune? I thought it was pronounced Spo-cain. You thought wrong. I’m guessing that is not a new experience for you. 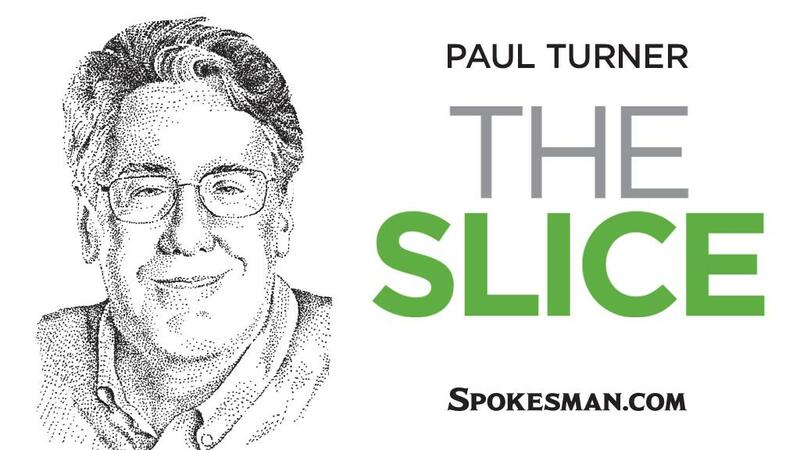 Today’s Slice question: Pairings involving graduates (or dropouts) of which two Spokane area high schools make for the most unlikely married couples? Write The Slice at P. O. Box 2160, Spokane, WA 99210; call (509) 459-5470; email pault@spokesman.com. Just like people you talk to in real life, The Slice sometimes repeats itself.